Are you facing the scene of fire damage or any sort of flood damage in Anaheim, California? It needs to be taken care of immediately and professionally if you’re to avoid the further destruction of secondary damage. You can reach Restoration Masters anytime 24/7 for immediate response. 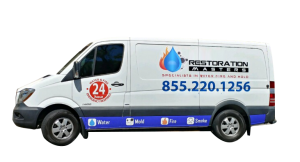 Our certified technicians and skilled crews are ready around the clock for outstanding fire damage restoration, mold remediation, sewage removal, smoke and odor removal, and water damage restoration services. With the latest equipment we’ll save you time and money, without cutting corners. We’re an experienced water damage contractor, fully licensed and insured and ready to serve Anaheim homeowners, business owners, and property managers. Locally owned and operated you can depend on us for prompt on-time arrivals, technical excellence, and attentive customer care with a full-service guarantee. Our teams include experienced and skilled craftspeople, highly trained and certified technicians, and the latest in advanced restoration equipment and technologies. We’ll work directly with your insurance company and bill them directly to save you the distractions and worries. For hassle free claims we’ll provide all the photographs and detailed documentation they expect and will fulfill all their mitigation requirements for secondary damage coverage. We can even help with your deductible. Storm damage and other natural flooding (yes, Anaheim does have urban floods) adds contaminated ground water to the picture. So in addition to debris removal and other flood cleanup our flood services bring in our anti-microbial specialists. They’ll take measures to prevent the spread of airborne disease organisms during flood damage restoration and make sure that disinfection is absolutely thorough. Sewage clean up is difficult in so many ways. Extreme measures are necessary to protect workers and surrounding areas from contagious diseases and parasites during sewage extraction, and cleaning and disinfection must be meticulous. Anything directly contaminated that can’t be sterilized must be discarded, and that debris along with the waste itself must be transported and disposed of following all ordinances that apply in Anaheim and at the disposal site. Our certified microbial remediation know exactly what needs to be done, and make sure that everything’s done properly. Your home or business will soon be safe, clean, and odor-free once again. Happy to grow in the dark, you could have a major mold outbreak and not even know it. So any suspicious discoloration, odors, or health complaints call for taking action. Many species other than the infamous black mold are highly toxic, and all species spread easily via microscopic spores. Due to all the risks, our licensed mold removal specialists follow OSHA requirements, EPA guidelines, and ANSI/IICRC standards (http://www.iicrc.org/standards/iicrc-s520/) to the letter. That includes air and surface testing, locating the source, completely isolating the affected area, and thorough spore and mold removal with best-practices. Our mold remediation also includes decontaminating surrounding areas and odor removal. Not all water damage comes from flooding or sudden events. Our experienced leak detection experts using the latest in electronic meters can efficiently track down the source of any building or plumbing leak without making a lot of holes in walls or floors. At their first look of the aftermath of a blaze, even a “small” kitchen fire, most people feel at least a bit overwhelmed. There are indeed many complicated steps necessary to prevent further destruction and take care of all of the fire damage repairs. Following IICRC guidelines (https://www.iicrc.org/consumers/care/fire-smoke-restoration/) we’ll complete a thorough assessment and begin recovery with securing all openings along with any needed structural reinforcements. A large team is need to complete debris removal, demolition, cleaning, sanitization, water damage restoration, and mold abatement quickly enough to prevent further permanent damage. And we have what it takes for Anaheim homes and businesses. Some of the worst fire damage comes from smoke and soot that can reach just about anywhere. Some harm is immediate, while other staining and discoloration may become permanent after just a few hours. Smoke’s hundreds of toxic and corrosive compounds quickly damage metals and even glass, while odor-causing compounds soon penetrate to depths where it’s no longer possible to remove them. So our smoke and odor removal experts will set up air scrubbers and then proceed with specialist cleaning for furniture, other possessions, and building surfaces. We also have fast and thorough dry-ice and soda-blasting equipment for walls, ceilings and floors. For inaccessible areas, our ozone generators produce an Eco-friendly gas that safely breaks apart odorous compounds then completely dissipates after we turn off the generator. Whether you need water damage repair, fire damage repair, or drywall replacement after mold removal our crews have you covered. In fact, we’re ready for just about anything including demolition and reconstruction for heavy damaged areas with carpenters, cabinet makers, flooring specialists, plumbers, electricians, roofers, and so on. We’ll take care of emergency Anaheim building permits, and finish up with complete cleanup and haul away. We’ll also recover and restore personal and business property, whether water or smoke damaged. Moving furniture and other building contents out of contaminated and wet areas protects them, and speeds cleaning and drying of the building. That often means using our pack out services to transport them to our facility near Anaheim for treatment and secure storage. Besides on-site carpet cleaning and replacement our expertise includes upholstered furniture, electronics, and appliances. With 85% of all business properties experiencing water damage at some point and the majority of fires occurring in restaurants we’re experienced in commercial as well as residential properties. There’s no need to tell us about lost revenues and permanently lost customers. Nor how fast fire sprinklers can soak a building. Our advanced equipment and expertise will get you fully operational as quickly as is safely possible, and in many cases let you continue operation during restoration. We’re ready to help with inventory, furnishings, fixtures, and electronics whether for a hotel or motel, warehouse, factory, retail shop, or church. And our microbial specialists fully understand the regulations and inspections affecting restaurant and health care facility operations. A few people still know about the extensive flooding that occurred through the greater Leos Angles area in 1938. Despite the construction of several major dams since then there have been well over 200 significant floods within 50 miles of Anaheim, the most recent in 2005. So once you’re feeling like you’ve recovered from your current disaster we urge you to prepare for the future. That includes carefully examining your insurance policies, creating a family or business emergency plan, and assembling an emergency kit. You can find more information at http://www.anaheim.net/851/Disaster-Awareness-Preparedness, including clever tips on putting emergency supplies into gym bags and diaper bags so you’re always ready to roll.